This short but challenging summit up the Salt Mountain is a must do. It is made up of three small trails which are well marked/colour-coded and beaten. The yellow (Highlander) trail beats through hardwood forest laid with ferns as you climb along and eventually meet up with the blue trail (Salt Mountain Trail). Turn right on to the blue trail and keep climbing towards the first look off, which is an amazing view of Wycocomagh Bay. There is a second look off not far up the trail from this one as well. Keep going along the blue trail until you hit the junction for the red (Scouts Trail). If you decide to stick on the blue trail there is a third look off to enjoy before you descend back down to the trail head. 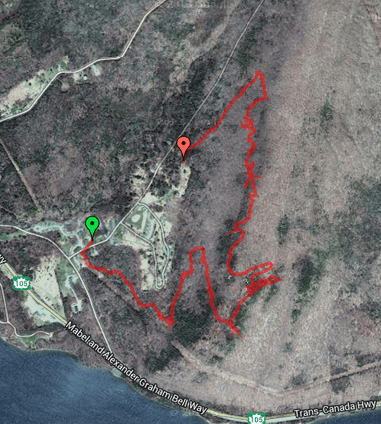 The red trail has two other look offs (which are quite grown in as of Sept 2013) and has some very rugged sections. 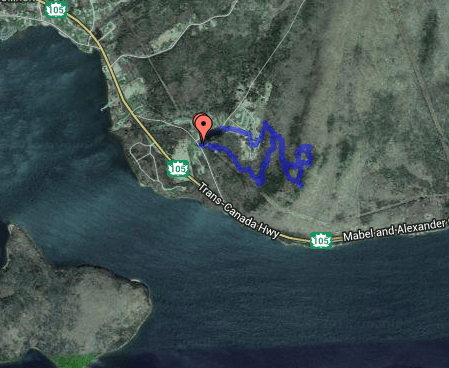 With this trail added on the distance is 4.75 km (1h20m moving time) and significantly harder. It is worth the extra effort. 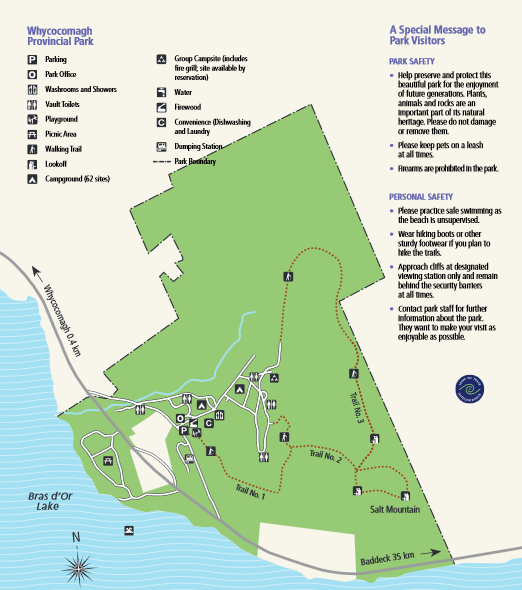 Typically hikers will start off on yellow and head up to the blue trail to view the look offs. More seasoned hikers will add the red trail in to extend the distance and challenge. Head toward Wycocomagh on Highway 105 and turn onto Provincial Park Road. The trail head is behind the parking lot.